ROSE TOWNSHIP – On Friday, the DuBois-based state police initiated a search for an endangered 37-year-old Julian woman, Susan L. Bachman. 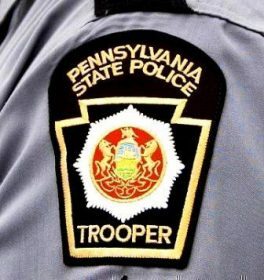 Bachman reportedly jumped from a moving vehicle on Interstate 80 westbound at mile-marker 77.6 in Rose Township. A mental health warrant has been issued for her to be evaluated, state police said. She was described as wearing a blue flannel shirt and jeans. She stands about 5 feet, 4 inches tall and weighs 120 pounds; she has red hair and green eyes. Anyone with information about Bachman’s whereabouts is asked to contact the state police at DuBois at 814-371-4652.